How Wide Cuts You Can Make with 10-Inch Miter Saw? Portable and conveniently functional, a miter saw gives a professional touch to any of your carpentry job. Whether you are a DIY or expert carpenter, a miter saw is a must-have tool that can make accurate angle cuts in all types of woodworks and many of your masonry or metal jobs. Just because miter saws are available in different shapes and sizes, choosing one that can provide exacting results in a powerful yet simple way is always crucial. 2 What size board a 10-inch miter saw can cut? 3 Should you use a 10-inch saw for your woodworking project? 4 When a 12-inch miter saw is more suitable? 4.2 What to expect from a 12-inch version? 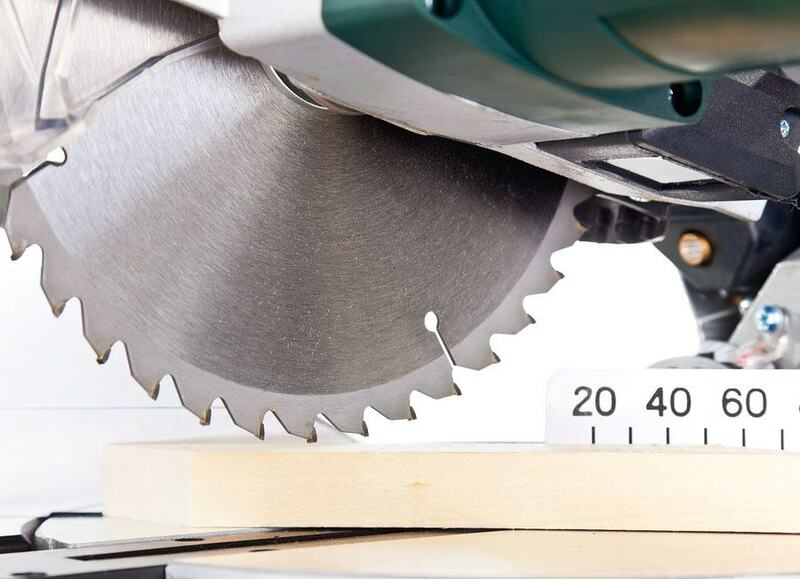 When it comes to a miter saw, the size originally indicates the diameter of the blade mounted on the saw. The size of the blade usually ranges from 7.25″ to 12″. How wide of a board a blade can cut typically depends on the size of the blade. The larger the size of the blade the wider portion of a board it should cut. In the market that sells miter saws, a debate over the supremacy and suitability of 10-inch and 12-inch saws is ongoing. So, common woodworkers as well as professionals often ask which one to buy: a 10-inch or a 12-inch miter saw? What size board a 10-inch miter saw can cut? A miter saw that uses a 10-inch blade can deliver right-angle cuts off a board that is 5.5″ wide, which should be sufficient for a piece of two-by-six lumber. The 10-inch saw can also cut a piece of two-by-four lumber at a 45° angle. A 10-inch saw can cut lumber or plywood up to 1.25-inch thick without causing disturbance to users. A standard miter saw is typically a circular saw installed firmly on a hinged frame, so users can make precise vertical cuts repetitively either on angle or straight in lumber or small boards. With a standard 10-inch miter saw, the repetitive mode of action should be the key so that you can save time during your woodworking project. You have to put the saw up in a specific location wherein you want to work. If you need considerably longer material cutting, it is recommended that you choose to work on a floor. However, an improvised work table or work bench can help you operate the saw quite comfortably. Now, you should release the saw and place the stock on your saw bench so the blade can travel. If you are just a beginner, you can raise and lower your saw a few times before you turn it on. This way, you will be able to get familiar with how the blade will take its path when sawing through the stock. By doing so, you can avert accidents during the tedious hours of woodworking. You can make perpendicular cuts through boards at angles which range from 45 degrees counterclockwise to 45 degrees clockwise. Do not worry about the alignment of the blade as the locking device and an angle scale will keep it as it should be. Make sure you have clamps in place so that you can cut short pieces of stock safely. Try to cut near the end of a piece of lumber. This action makes it possible for the already cut pieces to be thrown. You should cut different angles on scrap material. Then, you can fit them nicely, so you can determine how the angles fit. Cutting at various angles will help you figure out basic shapes. If you want to join a couple of stock pieces at a certain angle, the angle on the stock’s end should be half the joint’s angle. For instance, if you want to make a 90° corner, you must cut the ends of a couple of stock pieces at opposite 45° angles. Making sufficient cuts using scrap material is a good practice that may help you avert unnecessary mistakes. If you are not working with a wide piece of stock, you may see the blade starts cutting the piece on its front edge. So, make sure you make measurement marks on the front edge of the piece. Alternatively, you can use an angle square to make marks on the piece. Consider using eye and hearing protection tools. Keep the workspace clear and electric cords in working condition. Keep your hands away from parts that are on the move. Avoid breathing in sawdust and try to disallow the accumulation of dust. Should you use a 10-inch saw for your woodworking project? Well, that depends on the requirements of your carpentry project, and of course, your own craftsmanship. If you are a Do-It-Yourself carpenter or just an average woodworker, a 10-inch miter saw will work well enough. Before you finalize your decision, go through the following benefits the saw can yield. Both local and large hardware stores have large selections of 10-inch blades. As physics suggests a 12-inch blade is likely to deflect and wobble more easily than a 10-inch blade. For little or no wobbles or deflection, a 10-inch blade is, in most cases, a good choice. It is possible to achieve a high cut quality with a 10-inch blade that comes at a cheaper price than a 12-inch saw. The cost of sharpening the teeth of the blade is another distinct matter. If you find that the teeth of your saw blade need frequent sharpening, a 10-inch is the more suitable of the two. Being lighter than its larger counterpart, a 10-inch saw takes up little space. The majority of these saws run on 110 power supply, indicating that you can easily plug it in wherever you need. These saws are ideal for small cabinet shop or individual consumers. When a 12-inch miter saw is more suitable? As with any working tool or equipment, one thing is common that an average woodworker’s favorite saw may not be the desired tool for a professional carpenter. While a 10-inch miter saw is oftentimes a common carpenter’s favorite working tool, a 12-inch saw may prove to be more effective when it comes to wider and thick cuts. When an individual needs to use a miter saw for tasks or residential projects similar to industrial workshops, these saws are more convenient than their 10-inch counterparts. If you want to force certain material over the 12-inch blade, it will not bog down like a 10-inch. When you wish to rip into a piece of laminated lumber up to 2 inches of thickness, these saws will not disappoint you. 12-inch saws are effective if a consumer wants a miter saw that is stable with an increased size and weight. This saw can cut large sheets of plywood without requiring woodworkers to undergo much labor. 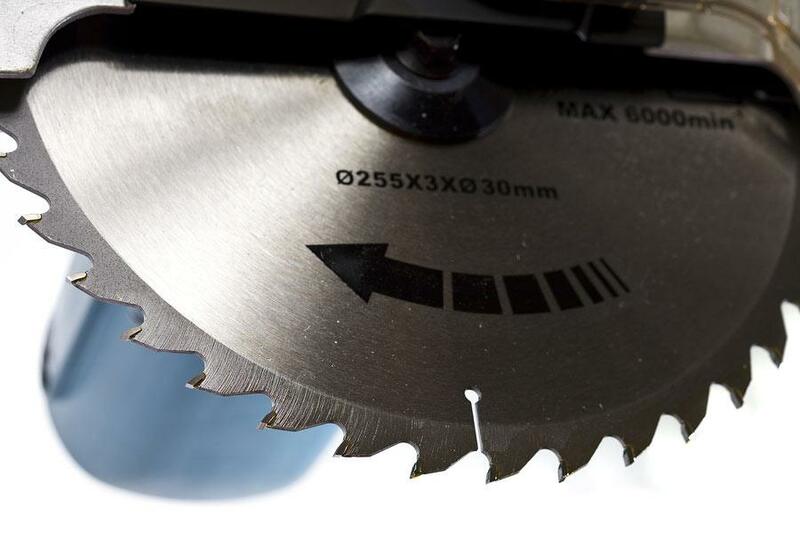 With added stability and increased number of teeth, 12-inch saws can cut more smoothly. These saws are preferable when you expect both dependability and longevity. What to expect from a 12-inch version? If you need to have a cut of at least 6 inches, this version should do the job as you can expect to have a maximum cut of 7.5 inches which can be wide enough for a two-by-eight lumber. Larger and arguably more powerful, this saw can achieve a maximum thickness of 3.5 inches which can be good enough to cut through a four-by-four piece of lumber. Once you feel comfortable with working, keeping the above discussion in mind; you can succeed in working with a 10-inch miter saw for your woodworking projects. Thank you!! This article singlehandedly enabled me to determine that a 10″ saw is the best fit for my needs. This is a perfect info for the beginners like me. Thanks!